How to choose an industrial or structural adhesive? What are the main types of structural adhesives? When should you use an epoxy adhesive? When should you use an acrylic adhesive? When should you use a polyurethane or urethane adhesive? When should you use a cyanoacrylate adhesive? When should you use a silicone adhesive? When should you use a two-component adhesive? An adhesive is a liquid or paste product that allows parts to be joined together. The adhesives used in industry are generally synthetic. Adhesives are widely used to assemble parts in the electronics, automotive, aeronautics, packaging, construction, wood, household appliance, textile and footwear sectors. Some of the most commonly used adhesives in industry are epoxy adhesives, cyanoacrylate adhesives and polyurethane adhesives. In order to choose the right adhesive for you, you should first check if it is compatible with the materials you need to put together. 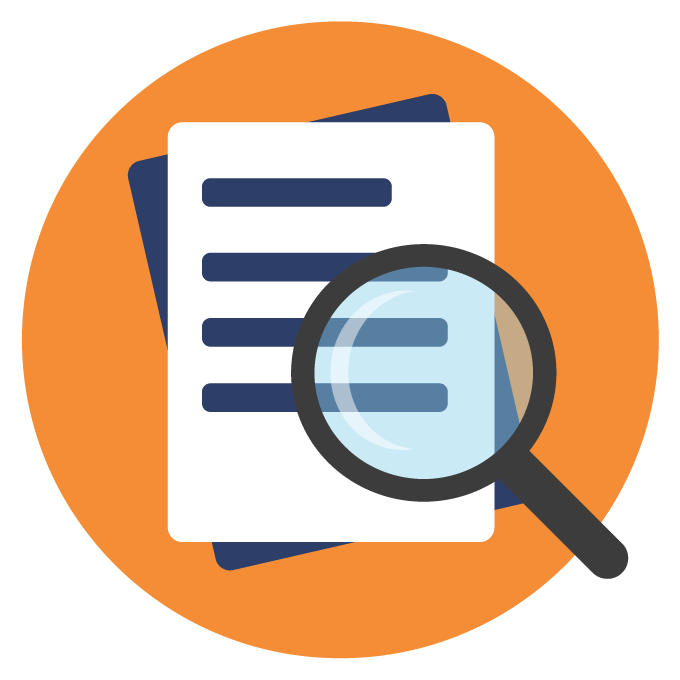 You will also have to consider the surrounding conditions such as the ambient temperature (minimum and maximum), the moisture content, UV exposure, exposure to chemicals such as detergents or acids and dust that could affect the bonding quality. You will also need to verify if the adhesive you choose is compatible with the stress it will be put under (permanent load, vibration, shock, shear, bending, etc.) and in particular its resistance to peeling (tensile strength). You should also consider whether what you are putting together should be able to be taken apart or not, and if so, how the glue should be dissolved. You must also take into account the working time, i.e. the time during which it is possible to modify the position of the elements you are gluing together, and the final setting time, i.e. the time you will have to wait before the assembly can be used under normal conditions. As a general rule, two-component adhesives have a shorter working time and shorter final setting time than single-component adhesives. Cyanoacrylate adhesive, which has a setting time of a few seconds, is the exception that confirms the rule. Lastly, you must check that the adhesive you choose complies with the standards the assembly is subject to. Good mechanical resistance to shear or tension. Good resistance to extreme temperatures. Does not last well under UV rays. Good tensile and shear strength. Good ability to fill in gaps. Fast setting (about 10 seconds). Good for assembling small parts. Can only be used on flat surfaces. By using a single-component adhesive, the glue polymerizes with a high moisture content (slow setting). Good temperature resistance up to 90°C. Glueing glass on different materials. The glue polymerizes with a high moisture content (slow setting). No prior surface treatment is required. Available in rigid, semi-rigid or flexible format. Good resistance to low temperatures (down to -40°C). You might want to use an epoxy adhesive if you need an adhesive that offers high mechanical strength, whether it be in terms of impact, shear or peeling. Epoxy adhesives are available in a single or two-component format. 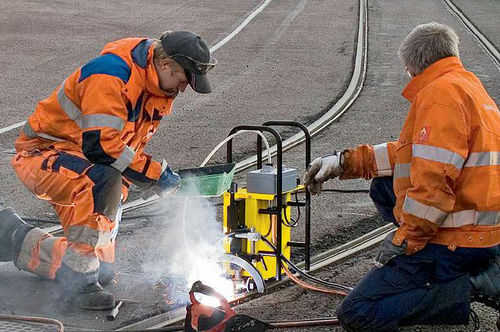 If you use a single-component adhesive, the epoxy polymerizes under heat, at temperatures in the range of 100 to 200°C. If you are going to use this type of adhesive it is preferable to have an oven, an induction or infrared system, or at least a hot air gun for the polymerization (the drying and curing of the glue), which can take from 30 minutes up to 2 hours. Single-component epoxy adhesive can be an interesting replacement for welding, for example when assembling tungsten carbide tools. If you do not have a source of heat for the polymerization, you can use a two-component epoxy adhesive which has the advantage of polymerizing at room temperature, although it is also possible to accelerate this process with heat. 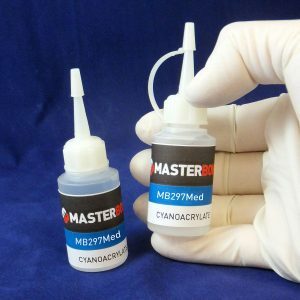 Two-component epoxy adhesives are generally available as cartridges that come side by side with a static mixing nozzle so you do not have to mix them yourself. Depending on the epoxy adhesive, the working time, also called “pot life”, can vary from a few minutes to a few hours. It is important to choose your epoxy adhesive according to the characteristics you require, for example the transparency and flexibility required, a large gap between the parts to be assembled, etc. Rigid adhesives, which offer good shear strength and very good durability. These adhesives are used in particular with rigid substrates and high static charges. Soft (flexible) adhesives offer good impact and peel resistance, as well as good resistance to low temperatures. These adhesives are used in particular to join different materials that do not have the same expansion coefficient. 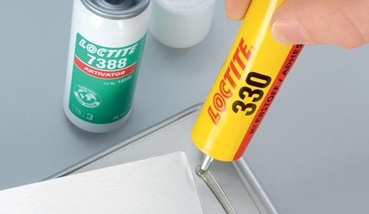 Strong adhesives, which combine the qualities of rigid and flexible adhesives. Acrylic adhesives are mainly used for bonding various materials such as plastic, glass or wood to metal. They offer good mechanical resistance, but not as good as epoxy adhesives. Acrylic adhesives are however generally cheaper than epoxy adhesives. The setting time of single-component acrylic adhesives is relatively long, around 5 to 30 minutes, but it can be accelerated by heating. Polyurethane adhesives are widely used in the building industry, for example for bonding insulation panels. They are very flexible adhesives, but offer limited mechanical strength compared to epoxy adhesives, especially when the ambient temperature is high. Single-component polyurethane adhesives polymerize by reacting with ambient humidity. They can be applied with a heat gun to reduce polymerizing time. If the humidity level is low, it is better to use a two-component polyurethane adhesive. Urethane adhesives are mainly used for bonding or repairing rubber-based materials, such as diving suits. Cyanoacrylate adhesives come in liquid or gel form. These adhesives are primarily designed for quick bonding and they offer good shear strength. At room temperature, setting is almost instantaneous. The first cyanoacrylate adhesives were liquid adhesives, perfectly suited for bonding rigid materials. There are now variants of cyanoacrylate adhesives in gel form with medium to high viscosity. Liquid adhesives can be applied to elements to be assembled by infiltration, they diffuse by capillary action. On the other hand, gels are particularly suitable for vertical surfaces and porous materials. 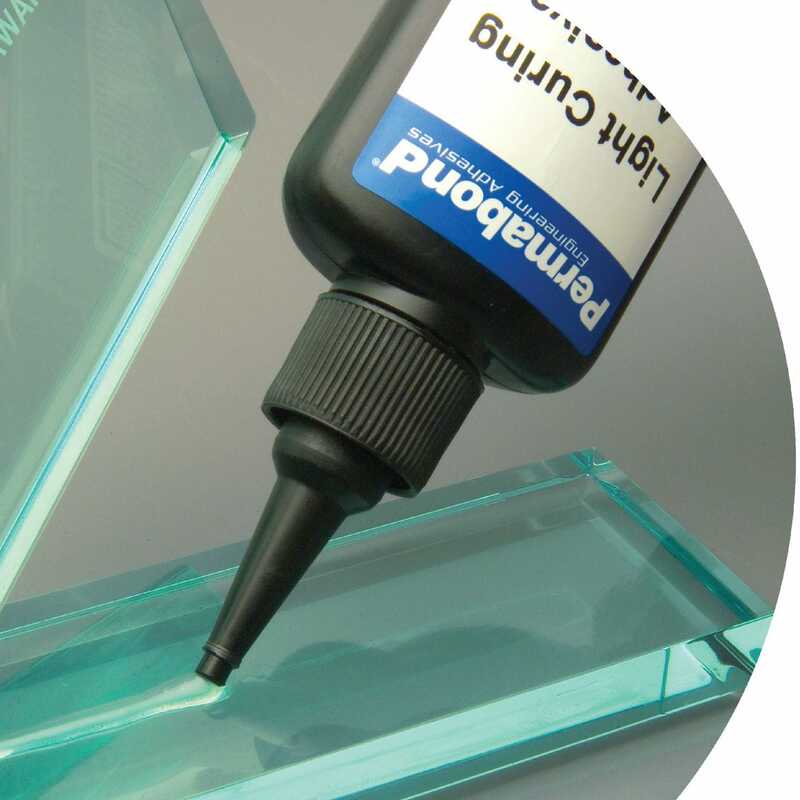 Cyanoacrylate glue only adheres to a surface if there is moisture. As such, if a surface is perfectly dry it will not be effective because it will not form adhesion. To solve this problem, you can apply a thin layer of water to the surface to initiate hardening. Cyanoacrylate adhesives are used to bond metal, fiberglass, ceramic, cardboard, rubber and plastic components. It should be noted that for heat-resistant plastics, it is preferable to use epoxy resin. The disadvantage of these adhesives is that they offer only low impact resistance and low resistance to high temperatures. Silicone adhesives are flexible adhesives that offer high resistance to dynamic stress and good sealing. They also have good resistance to solvents, UV and high temperatures. Their mechanical strength is not very high however. Single-component silicone adhesives require a high moisture content to polymerize. If the humidity level is low, it is better to use a two-component adhesive. Regardless of the type of adhesive, two-component adhesives have the advantage of not being dependent on the surrounding conditions for polymerization and their setting time is well-controlled as long as the mixture is correctly dosed. Mixing can be done manually or automatically with the cartridge nozzle. If you are mixing manually, it is necessary to dose each component properly. Some two-component adhesives can generate more or less harmful gas emissions, so it is preferable to use them in well-ventilated areas.